There's yet more evidence piling up the U.S. newspaper industry will face headwinds in their attempt to maintain readership levels. With the most recent release of census information comes this interesting nugget: The percentage of foreign born residents in the U.S. is approaching the historic high last seen at the end of the 19th century through the beginning of the 20th century. The connection to the newspaper industry is simple: immigrants have tended to look for newspapers written for their immigrant group to keep a connection to their homeland as well as provide information in their mother tongue. 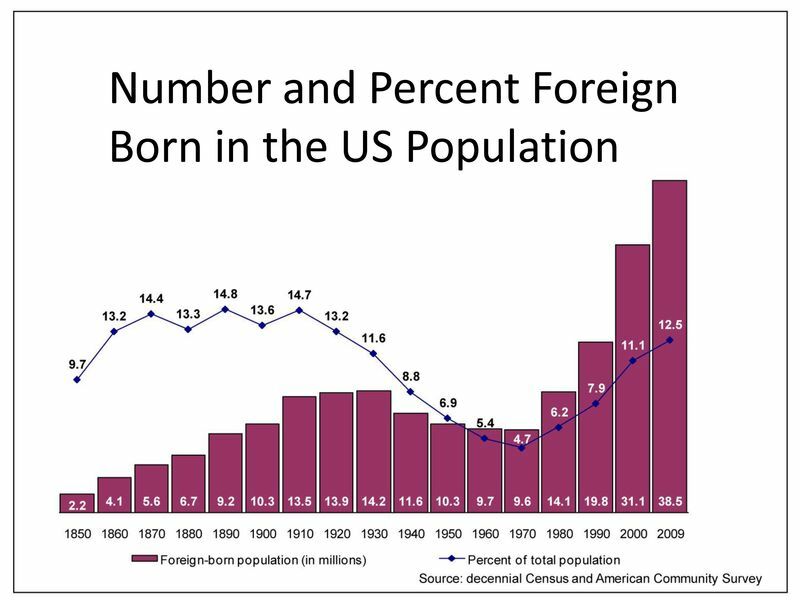 I believe much of the growing population of new Americans is likely to read targeted publications rather than the traditional papers which have long been in decline. Do you agree?